The faint voices you sometimes hear during a phone conversation are an example of signal interference between adjacent or nearby conductors, commonly known as CROSSTALK. The term is also applied to frequencies above the audio range where more serious consequences occur when inductive or capacitive crosstalk creates distorted or erroneous data in data link systems. The measurement of crosstalk consists of sending a signal of known strength through a conductor and measuring the effect of this signal in an adjacent or nearby conductor. 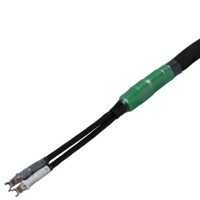 Typically, the crosstalk is measured at the same end of the cable that the signal is sent from. This is known as NEAR END crosstalk (NEXT). Expressed in decibels (dB), a higher number is better. NEXT is affected by signal frequency, cable construction, and installation / connection. 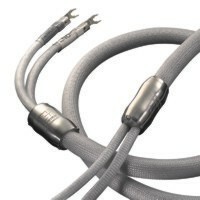 The ability to maintain a high NEXT is the design foundation of our Chime speaker cable. 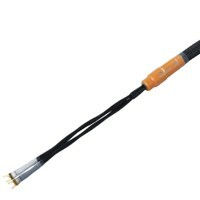 In order to minimize crosstalk and keeping a high NEXT number, our Chime speaker cables physically separate the positive and negative signal to eliminate crosstalk between conductors. To control the unwanted resonance, we have incorporated the use of aluminum (like the rest of the Chime series) to further dampen the resonance besides the material we are using at the end of the cables. The dimension of the cuboid is designed according to the golden-ratio. Aircraft-grade aluminum is used to absorb any vibrations from the cable. By sliding the cuboid into a different position, it will change the resonance of the cable thus yielding a different sound for fine-tuning. Chime speaker cables give you an articulate and authoritative bass that brings out the lower-level detail of the recording. 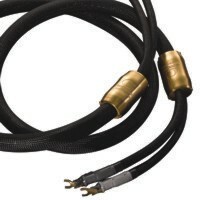 Our speaker cables are also capable of delivering very rich mid-range harmonics and extremely smooth highs. Since the crosstalk is kept at a minimum, you would be able to hear details and resolution that you had never heard before. The separation between instruments will become more pronounced; the focus will become clearer and much tighter.